Aspen alkylate petrol is virtually free from sulphur, benzene and solvents making it less harmful than regular petrol. You are breathing much cleaner air when working with your power tools and with these ingredients removed, the odour produced is minimal freeing you from the headaches this can cause. Aspen keeps your machines protected in use and in storage, starting easier, giving maximum performance and staying fresh for years. Regular petrol contains ethanol which is known to cause harm to small petrol engines. Aspen is ethanol free thus extending engine life and reliability. Aspen contains significantly less harmful and toxic hydrocarbons which therefore reduces the impact your machinery makes on the environment. 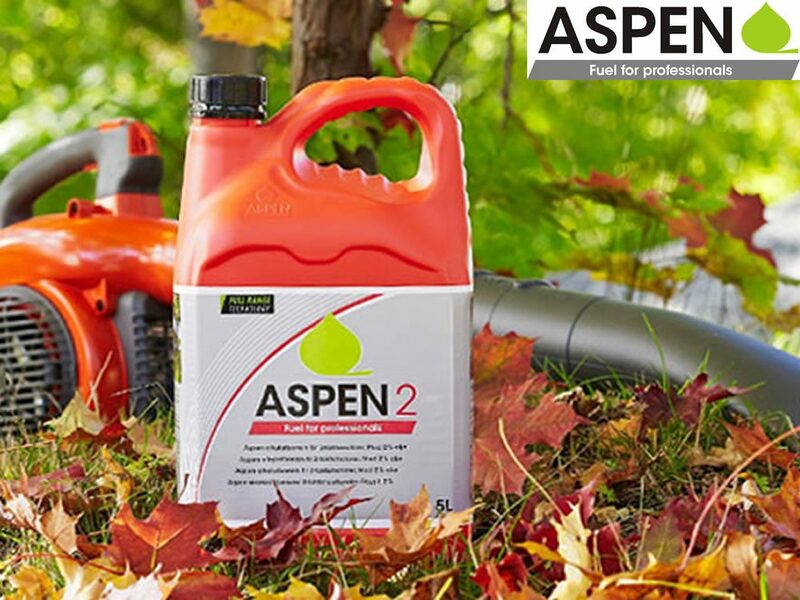 Aspen 2 and Aspen 4 is available in 1 and 5 litres. Don’t forget to ask about our loyalty scheme.